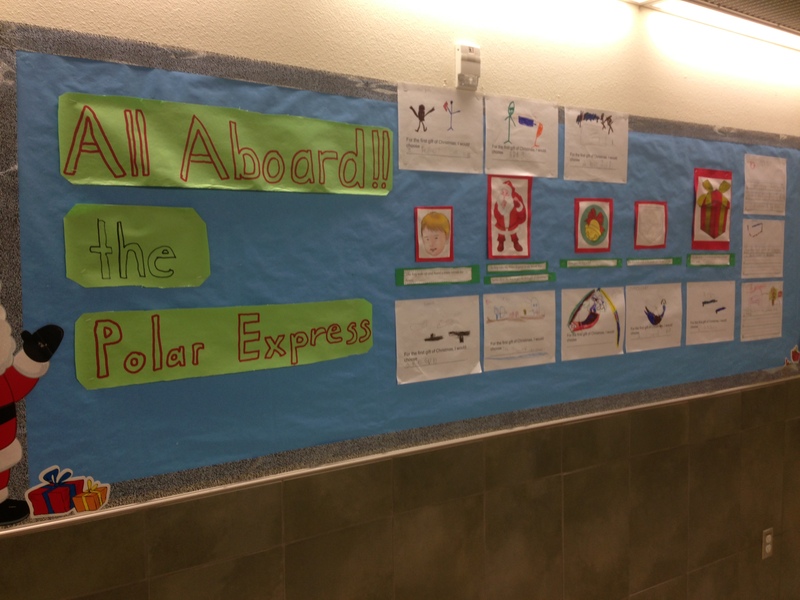 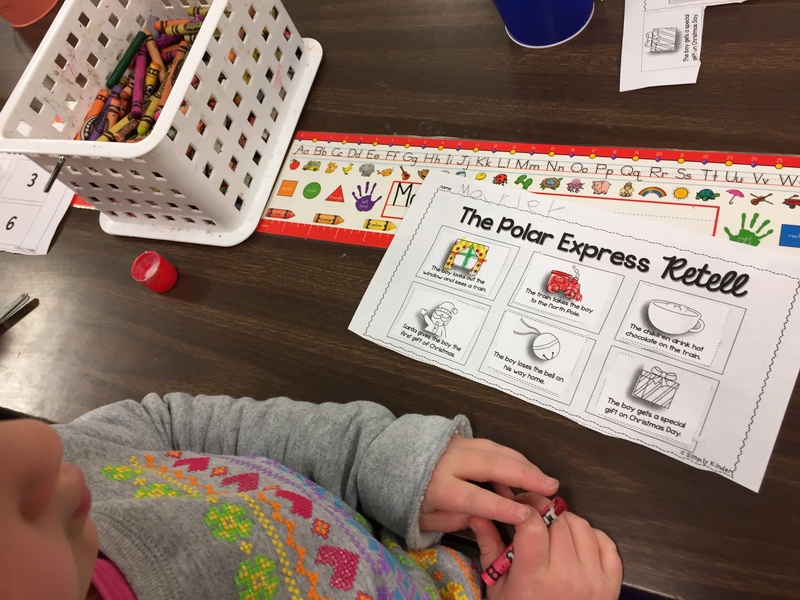 This week marks my favorite week, The Polar Express week! 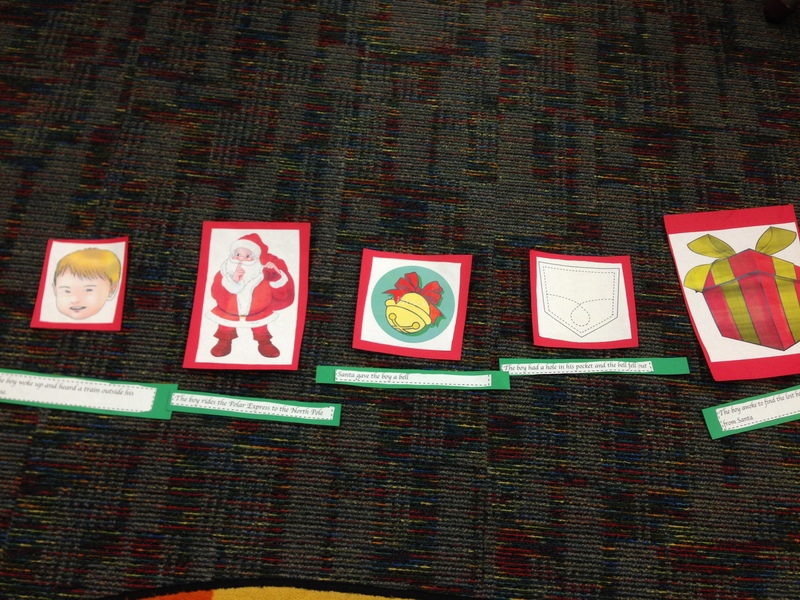 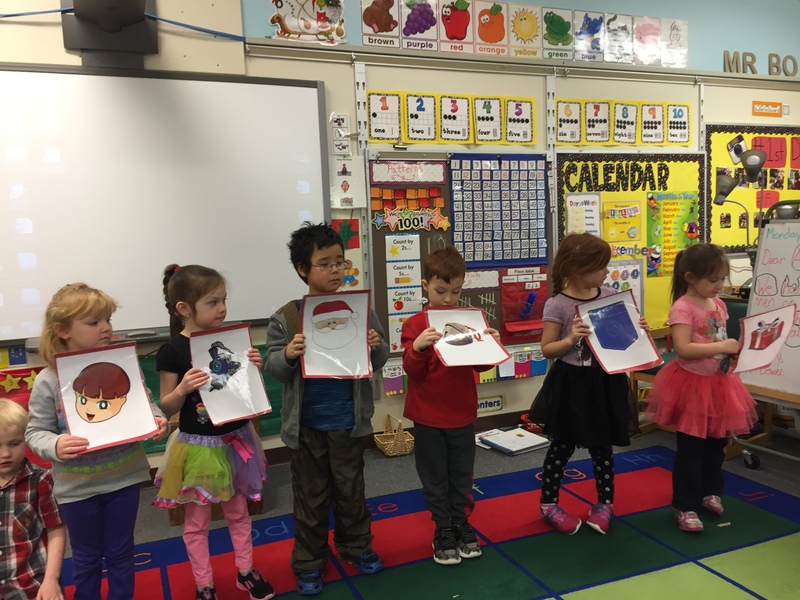 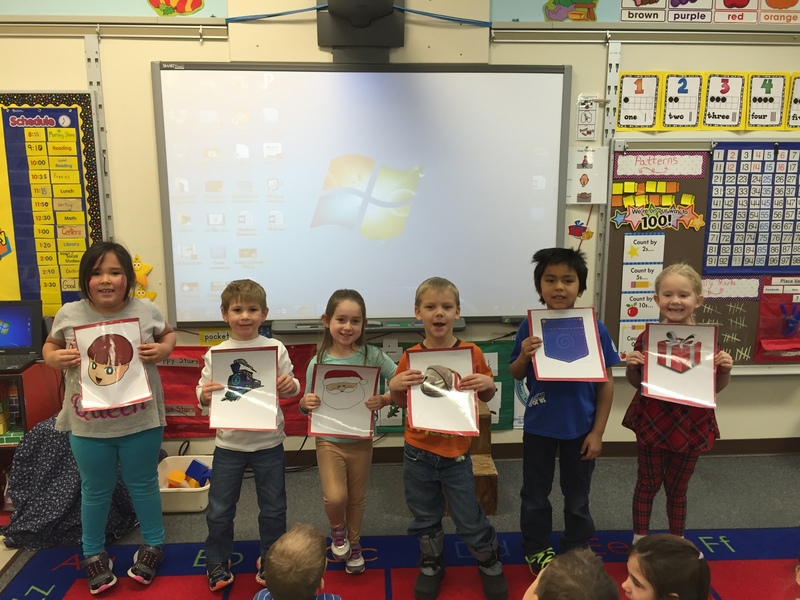 On Monday we read the story and students retold the story by putting pictures in the right order. 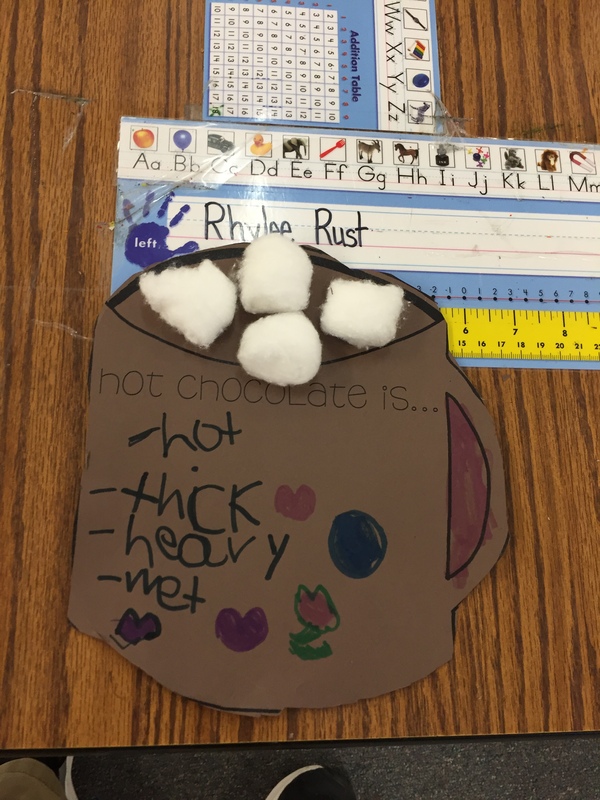 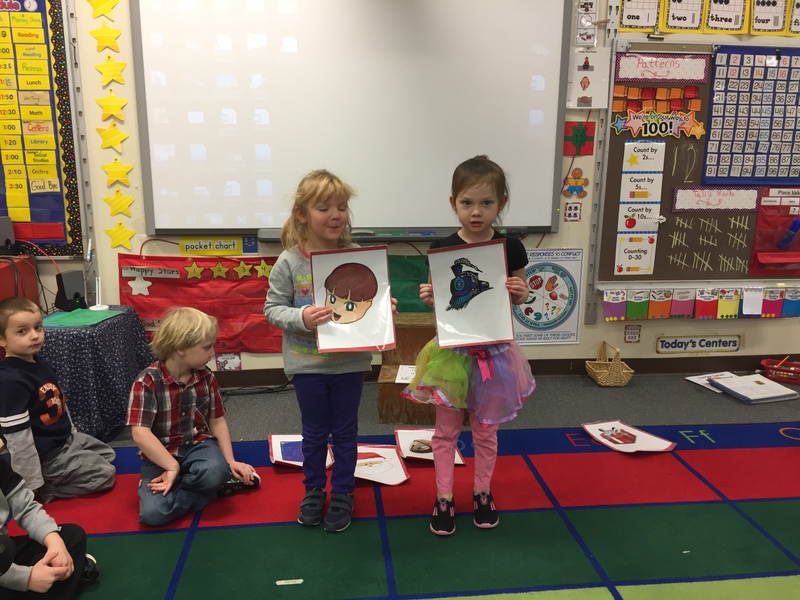 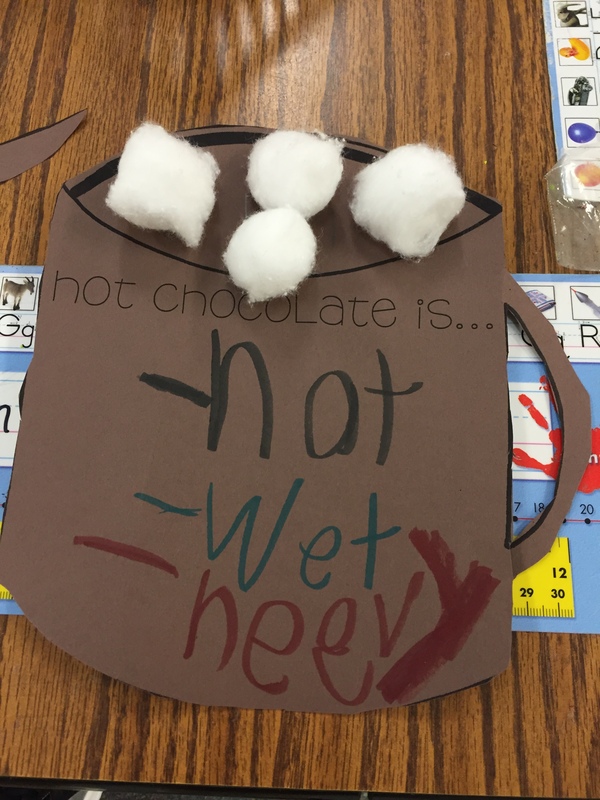 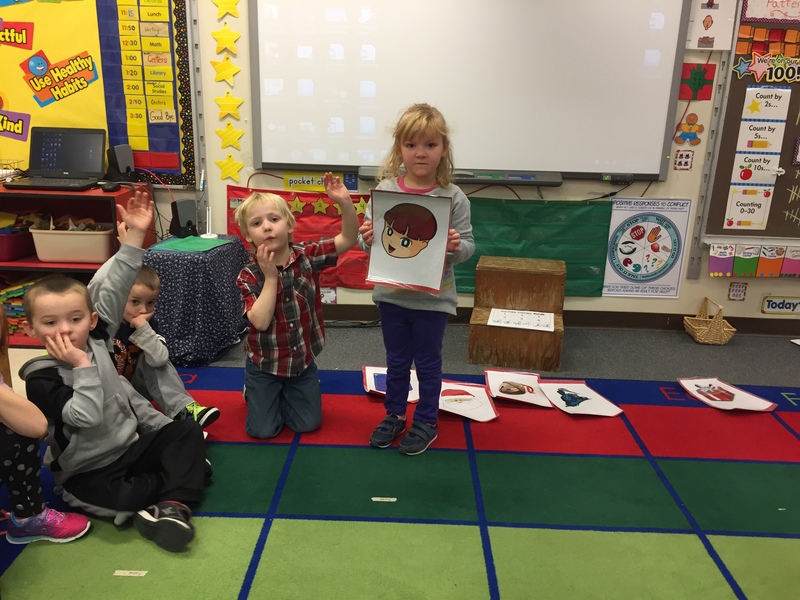 They also shared with the class what happened on their part of the story. 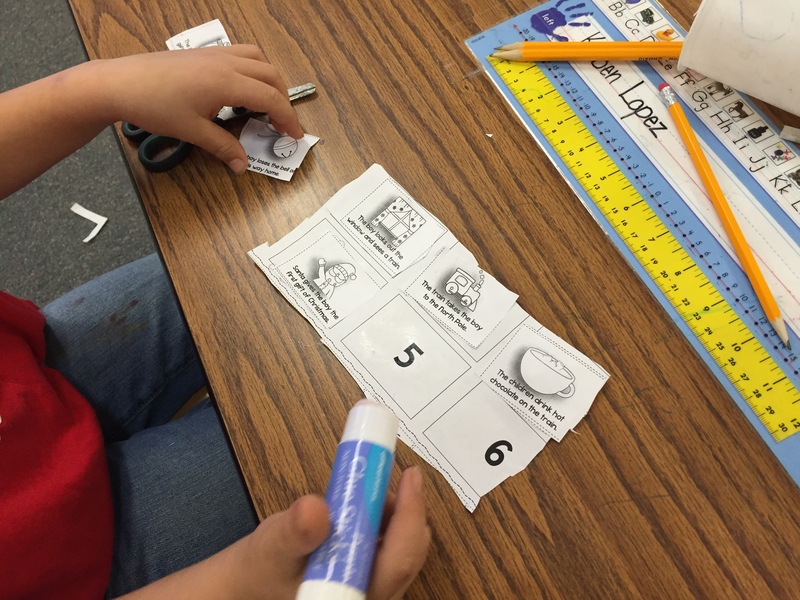 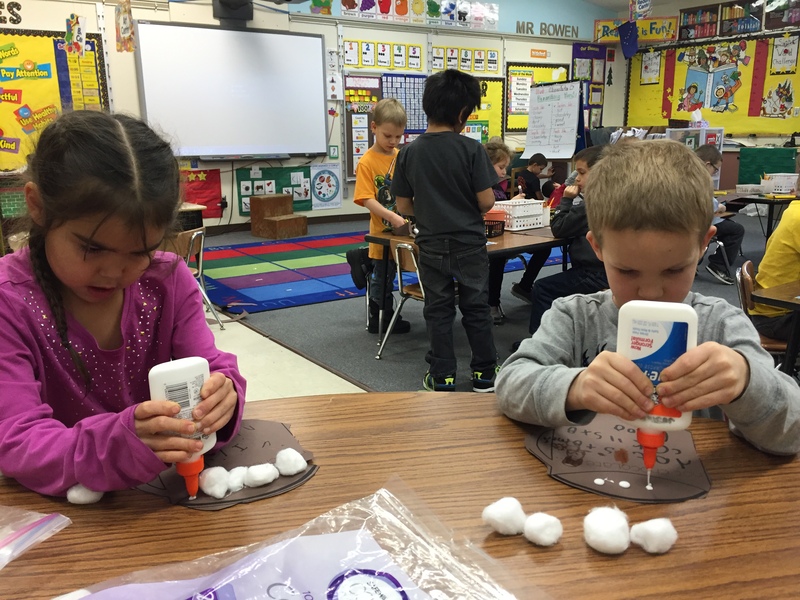 Finally they retold the story in correct sequence order by doing a cut and paste activity. 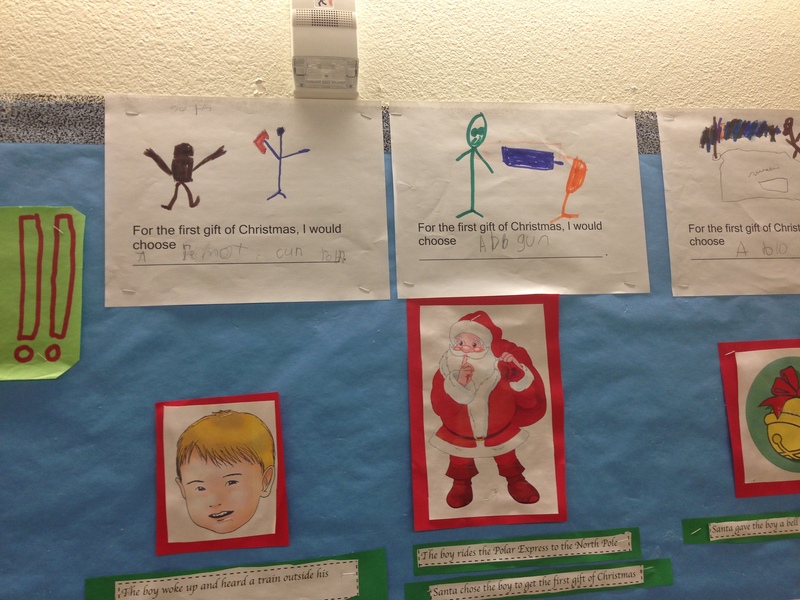 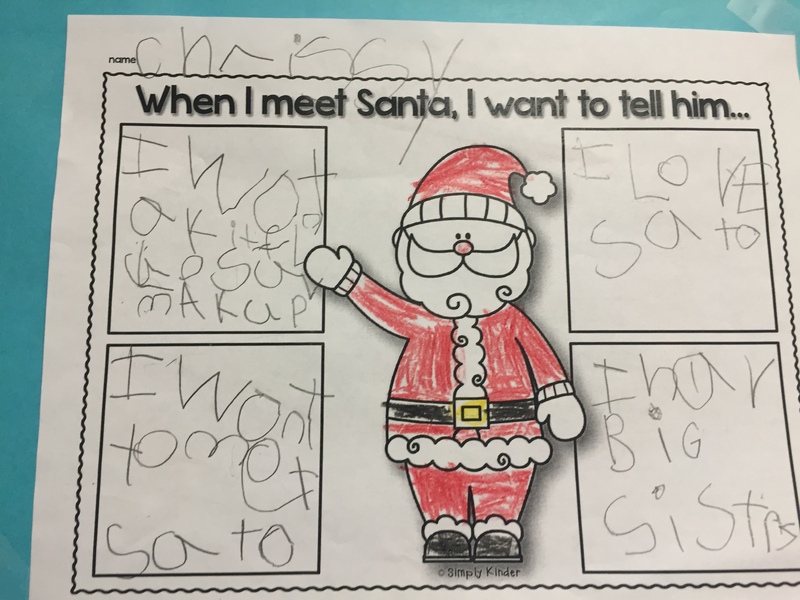 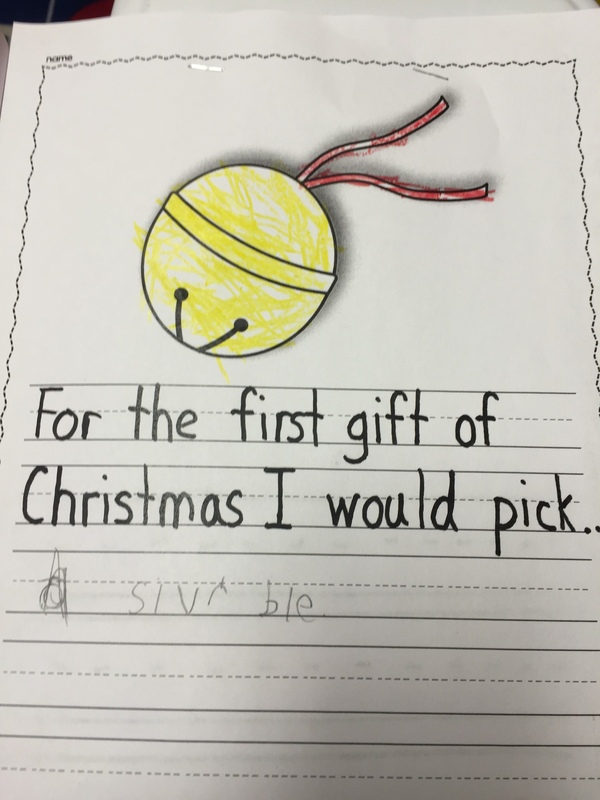 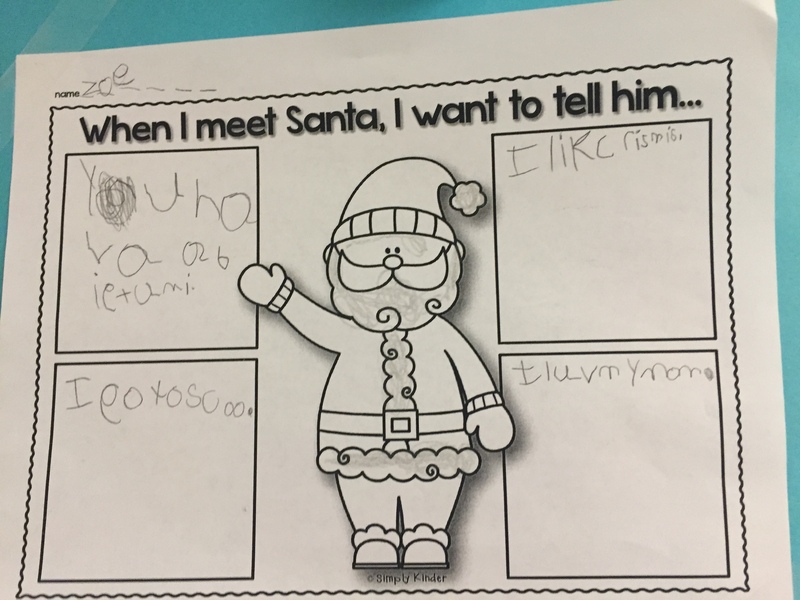 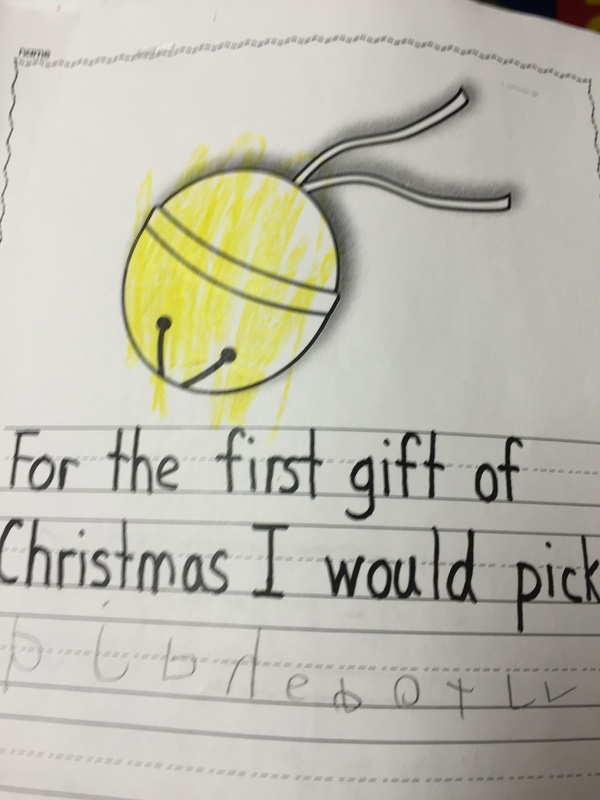 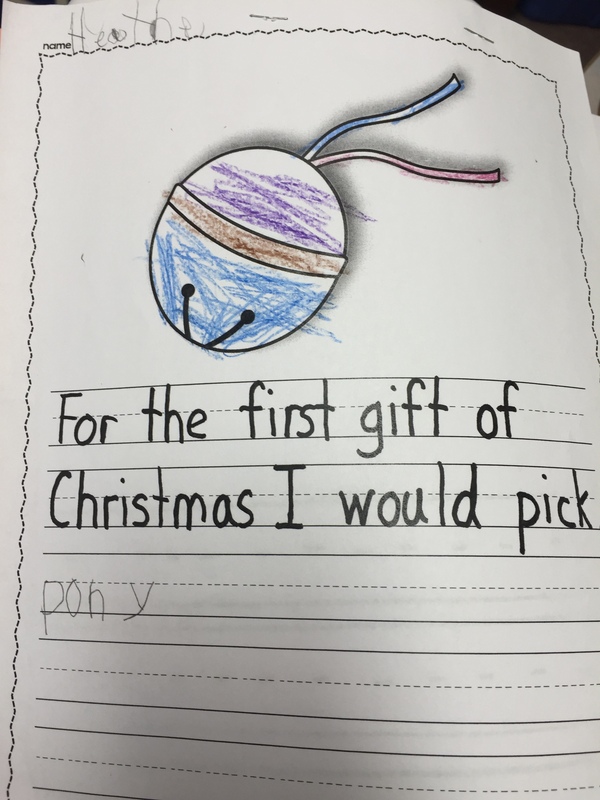 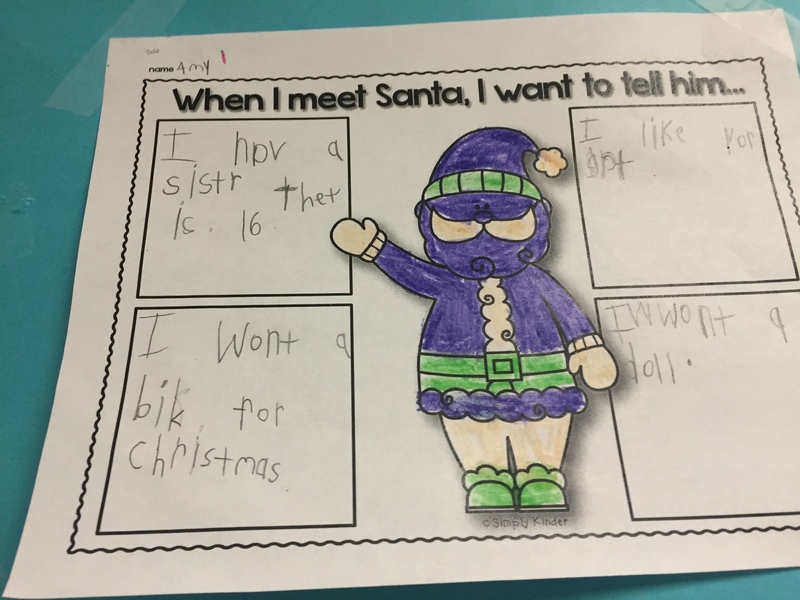 Today students wrote about what they would choose as the first gift of Christmas (A silver bell, pony, and genie bottle). 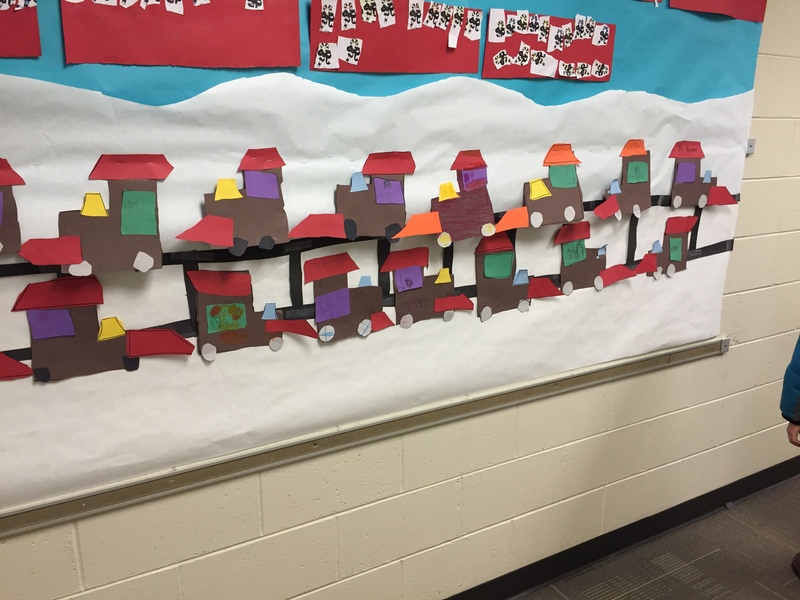 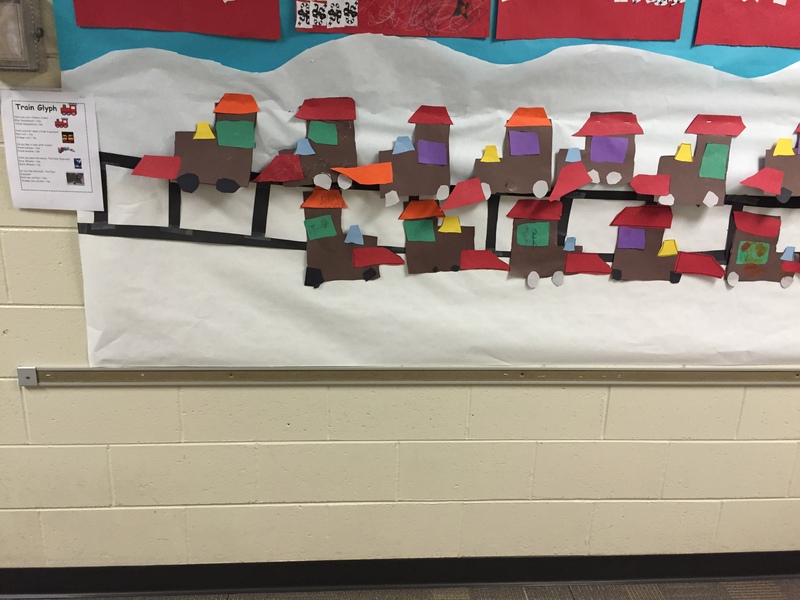 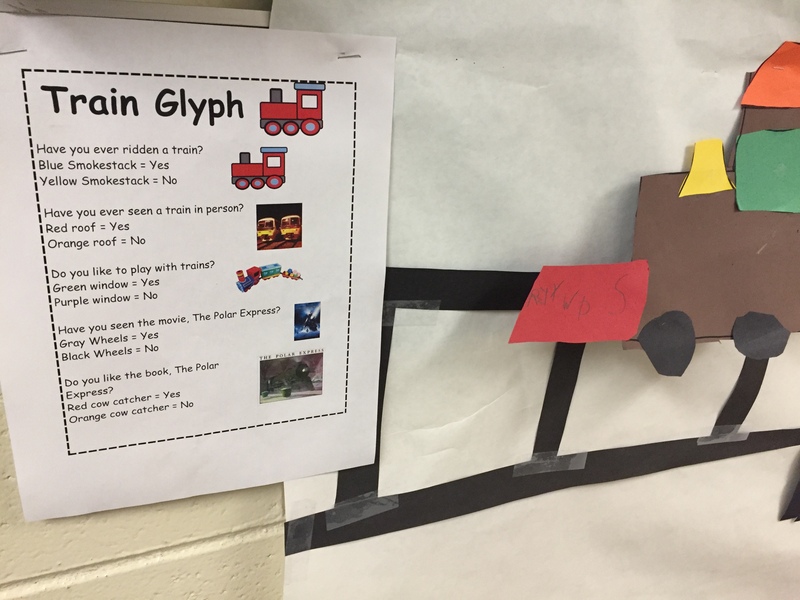 At the end of the day students created a train glyph, answering questions about trains. 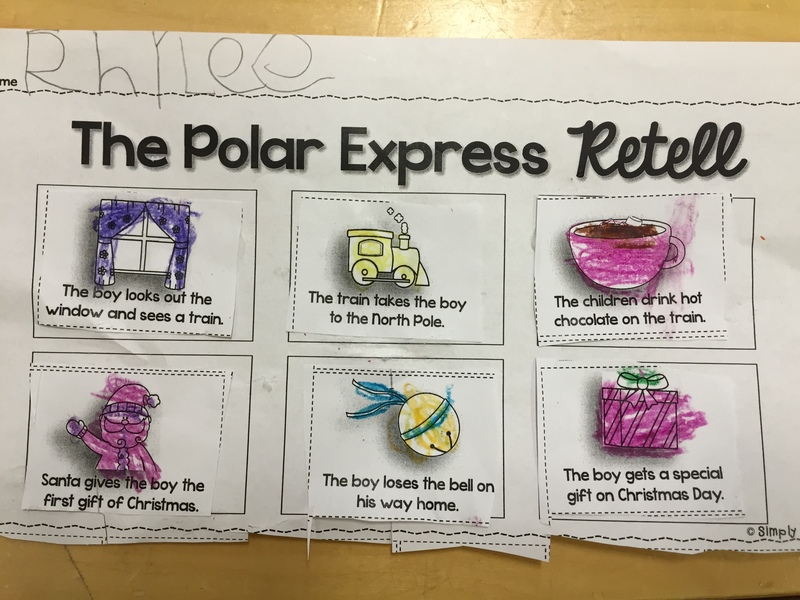 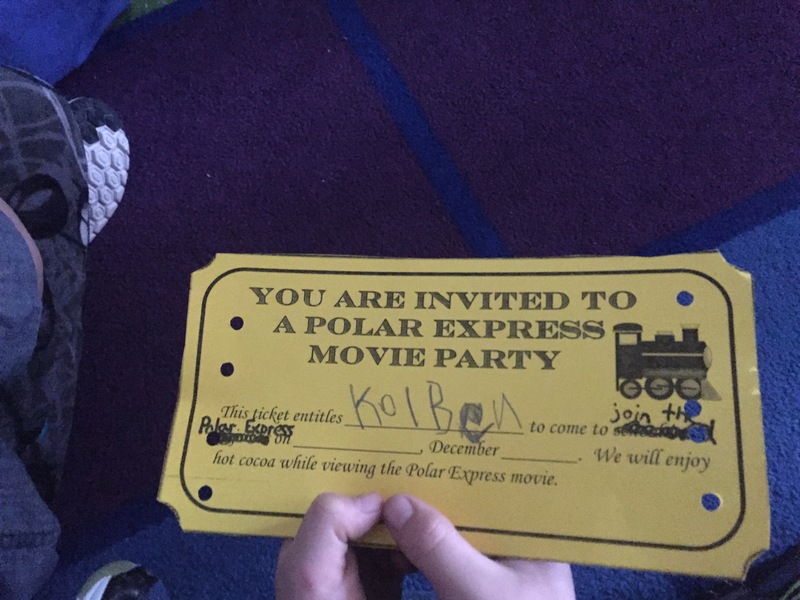 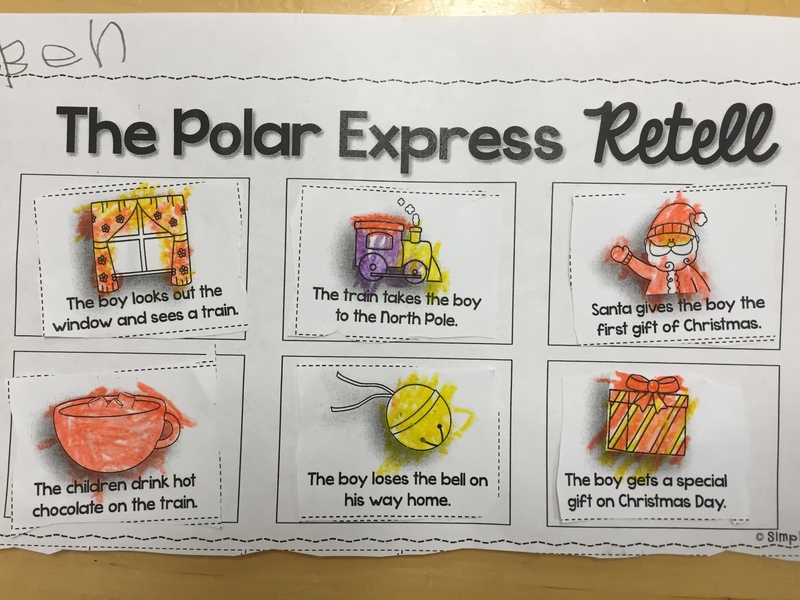 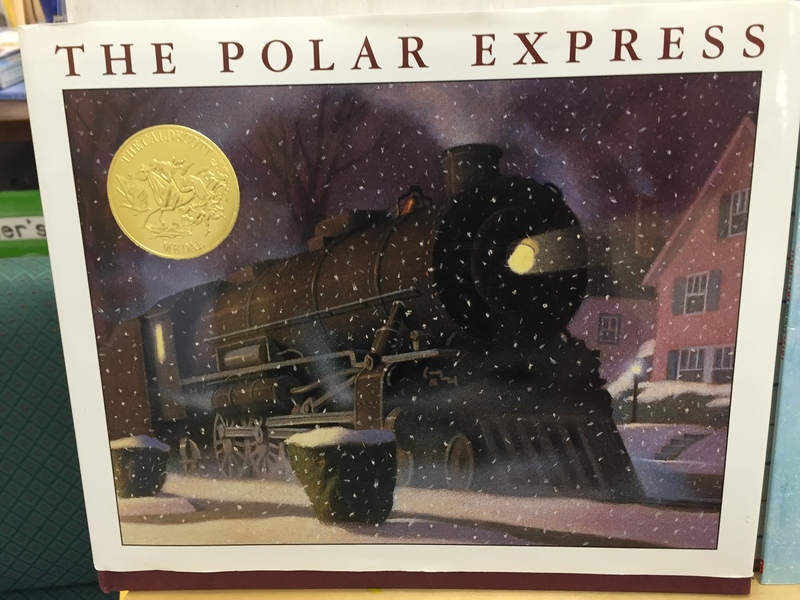 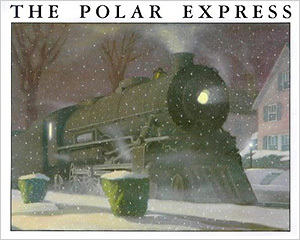 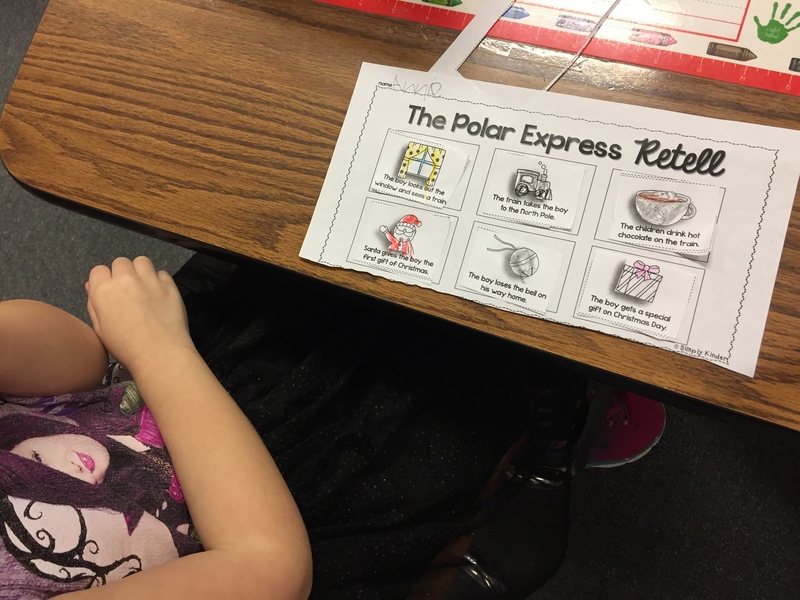 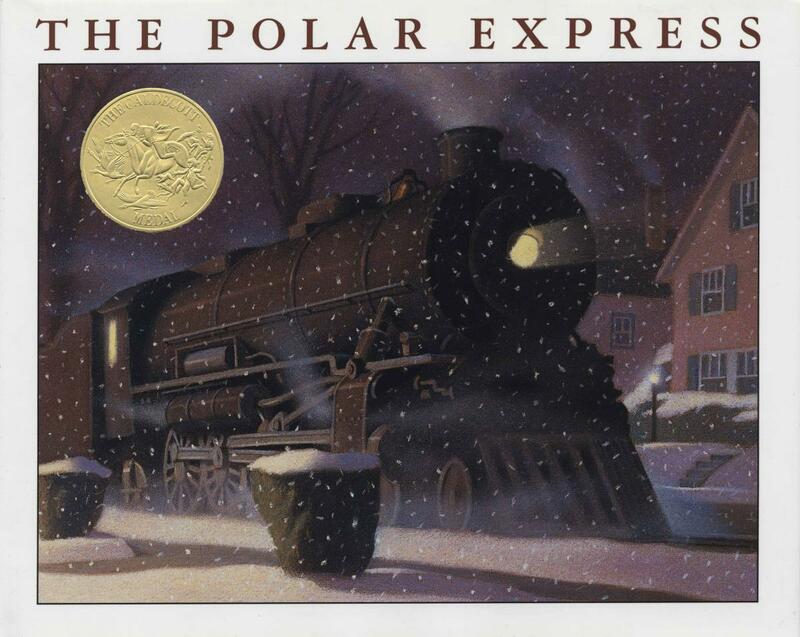 We read The Polar Express and talked about what the author is trying to tell us the problem is in the story even though it is not explicitly stated in the book. 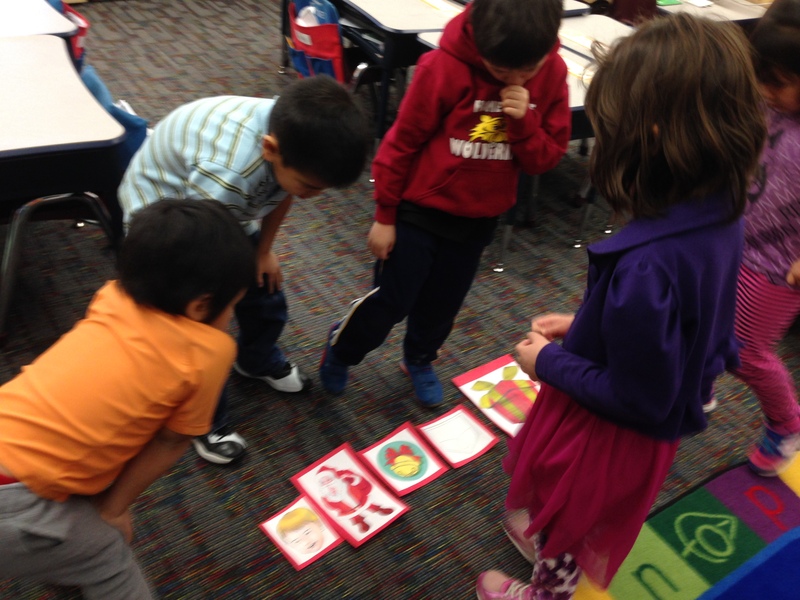 Then we retold the story using pictures and the words to complete a sequence. 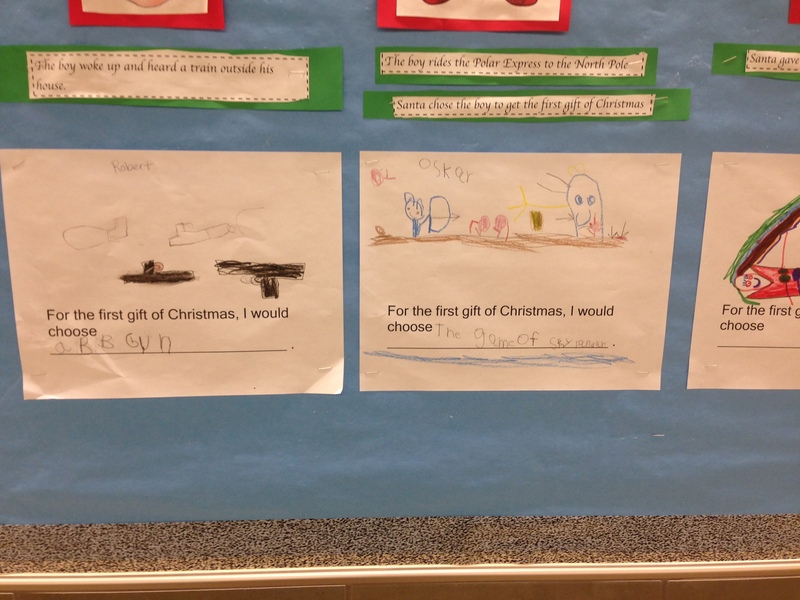 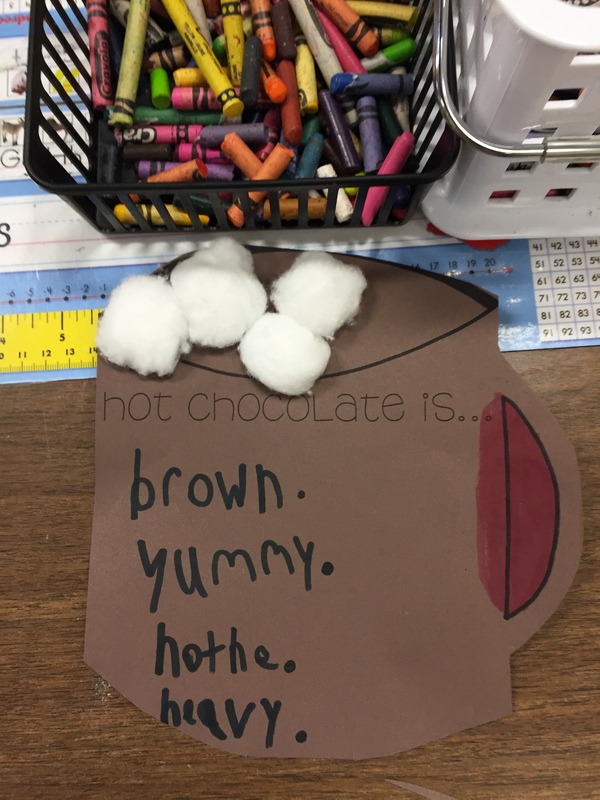 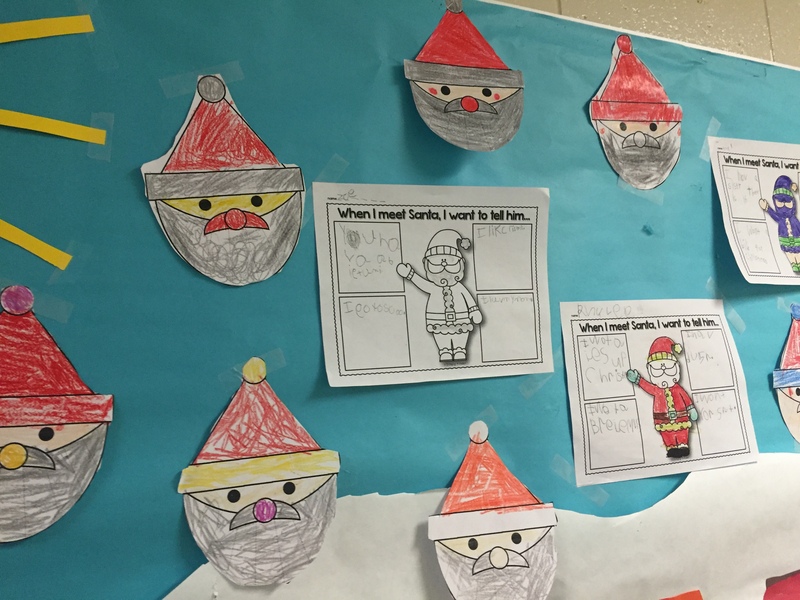 After we read and retold the story we wrote about what would have been our pick as the first gift of Christmas. 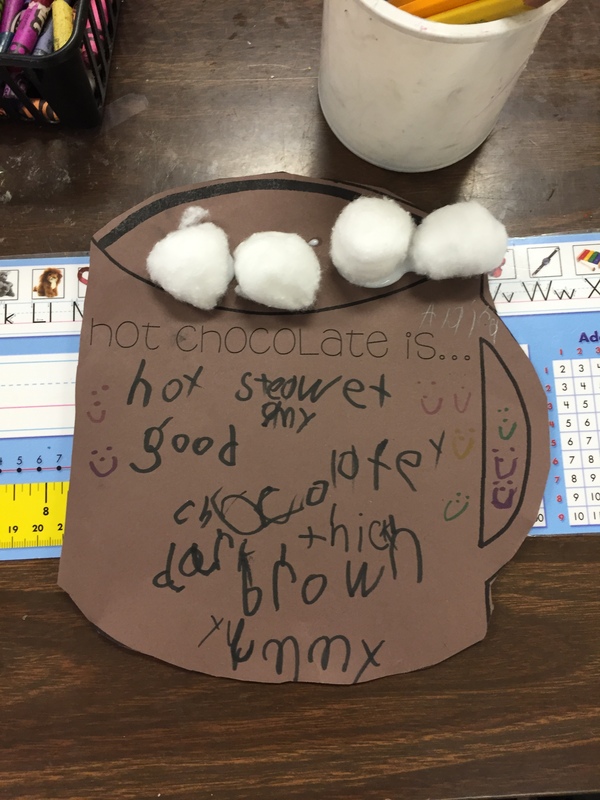 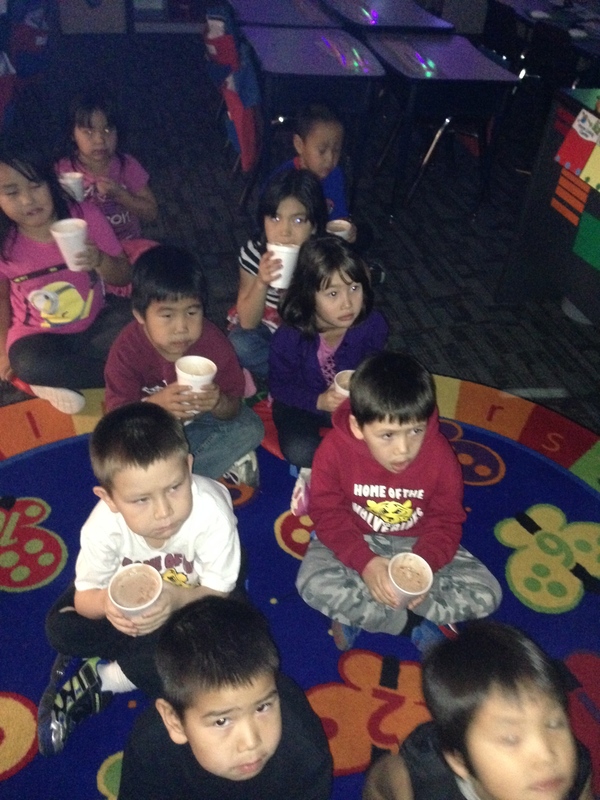 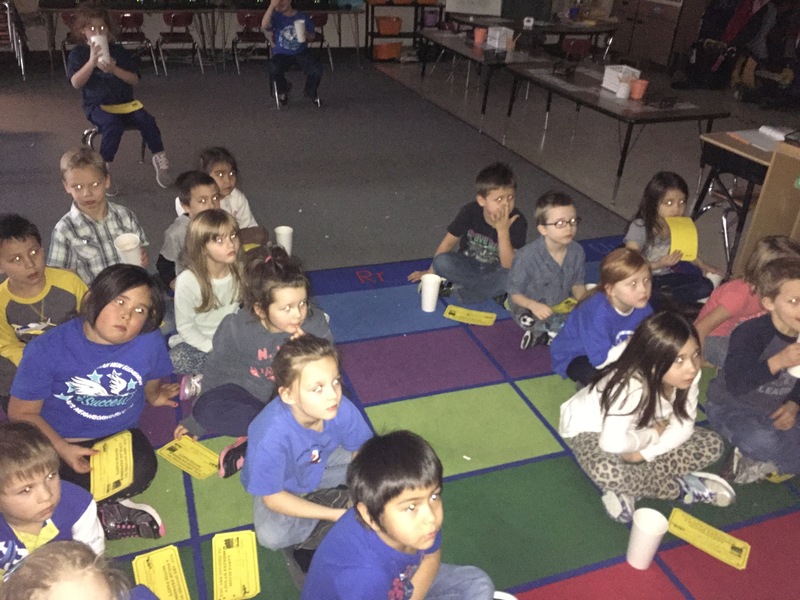 To end our Polar Express fun we watched the Polar Express movie while sitting like a train and drinking hot chocolate. 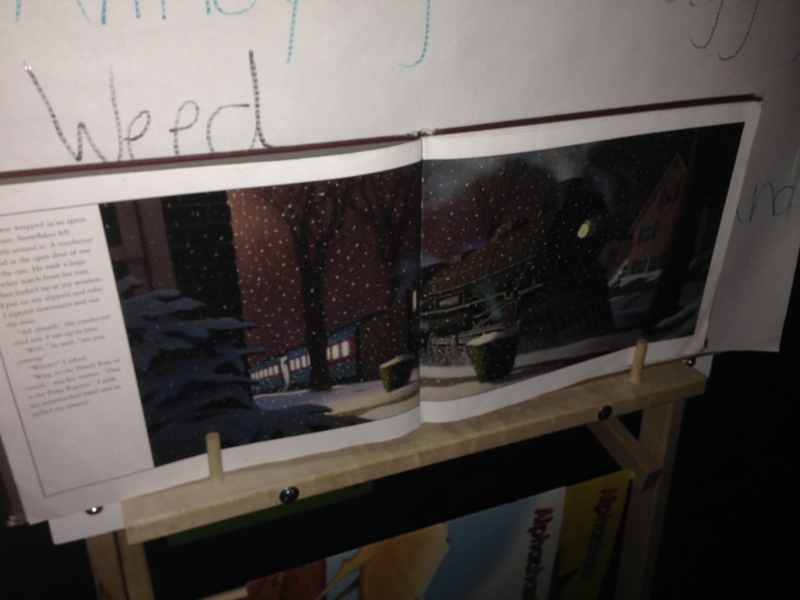 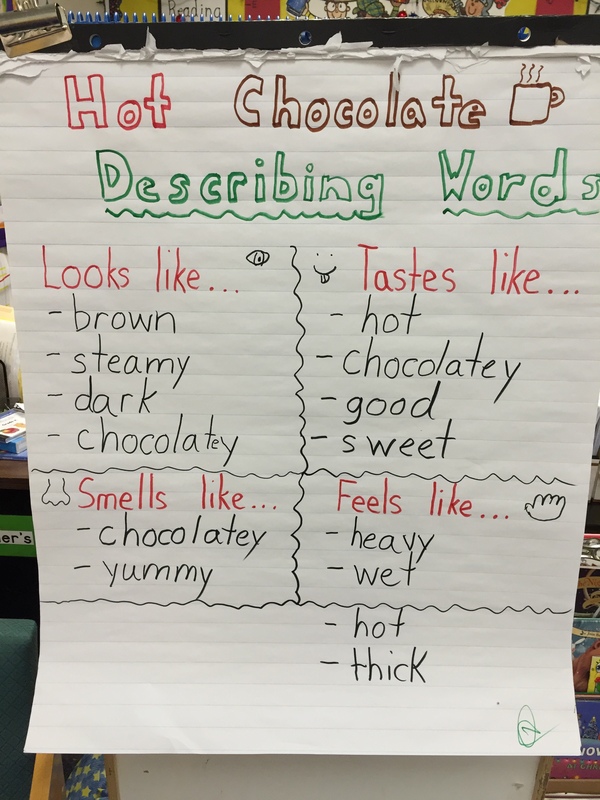 We also discussed the similarities and differences between the book and the movie.